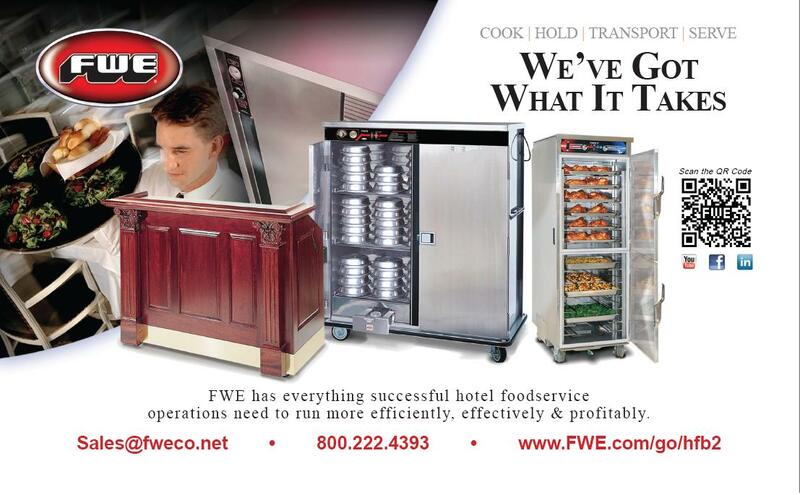 As seen in the July/August edition of Hotel F&B magazine, FWE Has Got What it Takes to run a hotel foodservice operation more efficiently, effectively & profitably. From bulk holding to banquet cabinets & mobile bars, the FWE product line has a variety of products to assist any hotel foodservice operation. With many options available in bulk food holding, FWE offers a variety of sizes of holding cabinets based on the operators needs. FWE heat system selections allow for dry and moist holding environments for trays, pans, gastro norms, and shelves. From electric to sterno heat, portability in holding is always an option. Built to move, these heavy duty durable cabinets withstand the changing surroundings of a caterers kitchen and serving venue. 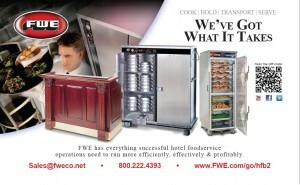 Whether feeding 40 or 4000, FWE‘s Mobile Heated Banquet Carts are at the heart of every banquet operation. FWE offers the greatest number of choices and the largest selection of capacities in the industry. Heavy duty stainless steel construction is standard. Choose from covered plates or open plates – 10 ½” to large 12 ½” diameters. Electric and canned heat models provide the ultimate in mobility and versatility. FWE manufacturers tough, durable Portable Bars in a variety of decorative styles. These NSF Portable Bars allow for any type of beverage service needed; Conventional bottles and cans, Post-Mix, Pre-Mix and Bag-n-Box dispensing. With a variety of sizes, styles, and matching ice carts and back bars We’ve Got What it Takes for making beverage service an attractive breeze.